Every TV show has its good and bad moments. 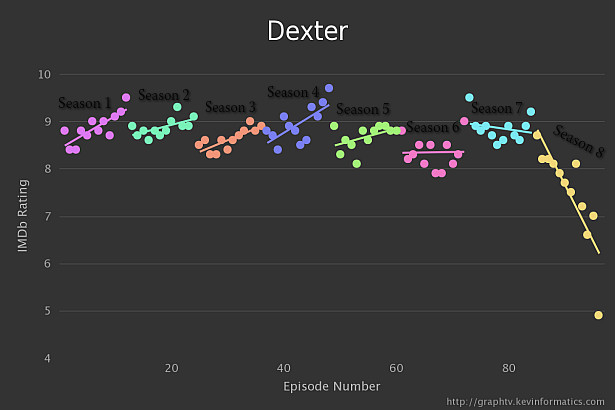 Eight months after the controversial ending of Dexter, we present you a chart from GraphTV with the best and worst episodes of the show according to people's ratings on IMDb. 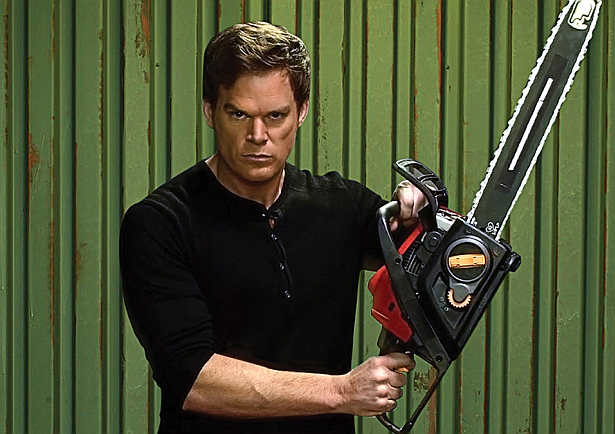 According to the chart, the highest rated episode of Dexter was the season 4 finale "The Getaway" with 9,7 out of 10, and the lowest rated one, the series finale "Remember the Monsters?" with 4,9 out of 10. Check out the chart below, and discuss in the comments section! View the full size of the chart, here.